Victor Lough Calgary Financial Advisor - Is investing really like gambling? I read an article in the Globe and Mail yesterday and according to a recent Blackrock study just more than half of investors think investing is like gambling. This got me thinking, because they're right, but not in the way they most likely think they are. Let me explain. 2. The risk is very similar. You know what you hold. Maybe its stocks in that flashy new tech company, or maybe it’s the pair of jacks you were dealt. Because you know what you have, there are certain advantages and disadvantages. You will attach a certain value to your holdings and that causes you to act a certain way. 3. You don't know what other people have, but you might be able to figure it out. This is less of a concern in the stock market, but you can have a look and based on their comments and behaviors (as well as public disclosures) get a pretty good idea of what someone's portfolio might be. This will perhaps give you some information on their biases and things like that, which may or may not help you in dealing with your own investments. 4. Critically, the risk in poker and risk in investing are very similar. Whereas I think that people equate investing to the slot machine or roulette wheel in terms of luck and risk, it's far more certain than that. Instead you hold the cards and make the decisions. Yes, things can come out of nowhere; I once lost a hand where I had three kings because the other guy was lucky and wound up with a straight. Believe me, I thought that was in the bag! When you're investing you have the same type of scenario where you can decide to hold what you have, sell or commit more money to the same investment as the situation changes. 5. 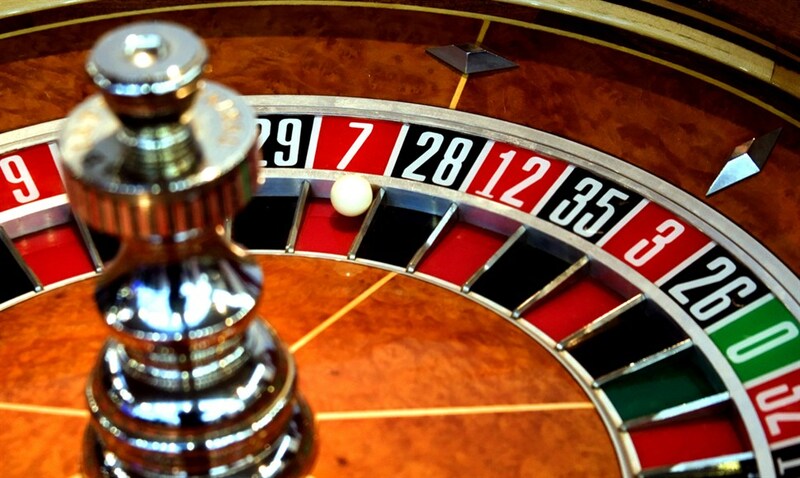 I should note a couple of things about roulette wheels and slot machines as compared to investing. First I think that the average guy equates investing to these as though investing is a black-box, and makes no sense. One day you buy something and the next you either win or lose. It doesn't work that way at all, but that's certainly the perception of some. The other thing that is very different is the lack of control. You spin the wheel or pull the arm on the slot machine and get your answer. Investing doesn't work that way. You might invest today and not see any substantial changes for months or years. In fact its these minimal changes that allow you to reassess and re-examine the situation as new information presents itself. That alone tells us that the probability is very different than a simple spin of the wheel. 6. You don't have to play every hand: Just like in a game of poker, you can and probably should, sit some opportunities out. Sometimes you look back and think to yourself "I knew I should've bought that! ", but there are other times when you will be glad you skipped an investment as well. Instead the point is to limit yourself to the investments with characteristics that are exactly what you are looking for. In poker this is called "playing a tight game", and in investing its just plain sensible. Regardless of whether its poker or investing you should be playing the hands and making the investments where the probability of success is in your favor. 7. You don't have to play every hand, part two: Along the same line, poker is a game about conservation. In other words it is just as important to win hands as it is to not lose. In investing I think that this is paramount; while the big gains are important, it's just as important if not more to not make big mistakes. So while investing and gambling have some similarities, it's far more akin to poker than it is to other forms. While predicting whether the market will be positive or negative in its next session is a lot like the slot machine, true investing is much more calculated. As opposed to the pure gambit you can take educate risks, reassess your position and be more certain of the long term outcome with some proper planning and strategy. This will help you win at the poker table, but also help you plan for your future.